Pirate’s Grog Black Ei8ht Coffee Rum Liqueur is an incredibly smooth and unique spirit with a twist. 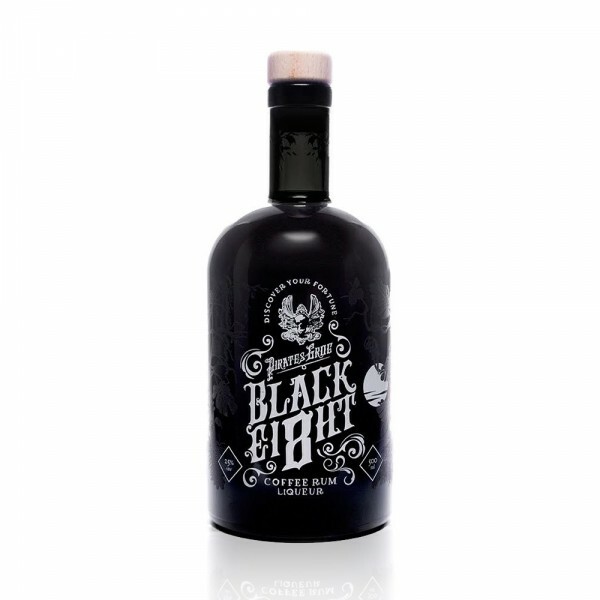 Made by blending Pirate's Grog five-year-old Honduran rum with Brazilian cold-brew coffee, this is an elegantly balanced blend with notes of chocolate, caramel and a hint of toffee. The rum liqueur was originally created for the perfect Espresso Rumtini, but tastes fantastic as a digestif, straight up over ice or as a coffee liqueur.